A valid legal photo identification card and credit card for room rental and/or incidental room charges are required at time of check-in. There can be no group bookings in excess of 3 or more rooms. There needs to be cut off time for reservations made on same date. A person should not be allowed to make a reservation after midnight and arrive early morning hours on the same date. A very gentle man who was very accommodating - friendly and helpful. Very clean and spacious room, huge good bed. Good walking distance from lots of eating places and handy to the bus into Hollywood proper. I would stay there again. Pros was location, no bed bugs/roaches, and price Cons: Rude maids refusing more than 2 towels at a time. Dirty bedding (literally stained with lubricant and what looked like some sort of fluids that I dont want to guess), bathtub and sink would not drain leading to standing in inches of water by the end of a short shower unless water was.literally only dripping, parking spots were too small for even a small vehicle, and check out time was 11am. every things are great. nice location, big and clean room. but only the staff wasn't so much pleasant. it was awesome the stay we had, the staff there was really friendly, an indian man i believe, he was the sweetest man i've ever met. the rooms were clean and adequate, however the shower head could have been alittle higher. bed was comfy and the room was spacious. location is great, very close to the farmer's market, about a 7 min walk down a beautiful park. there are buses around to get you to anywhere. 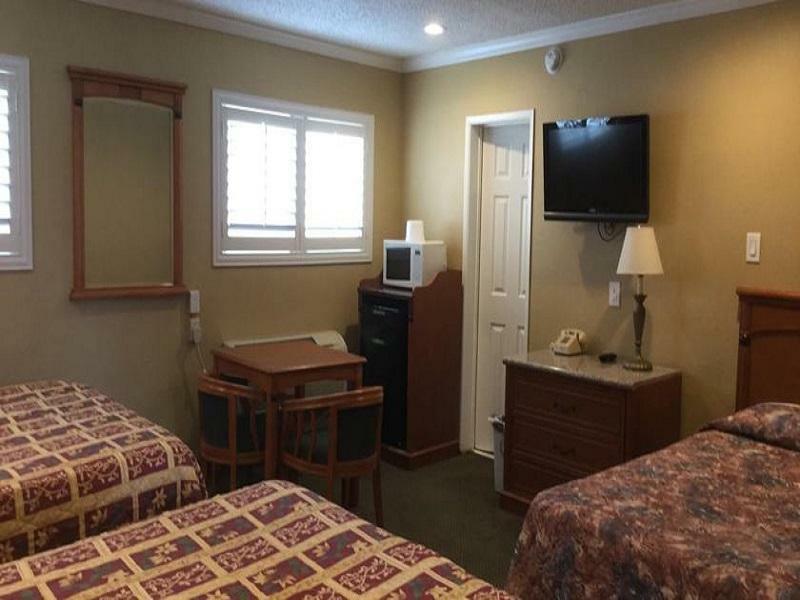 Spacious motel room in a great West Hollywood location - close to the grove, farmers market and Whole Foods. If you aren’t expecting a five star resort, this room serves its purpose in a good location. Has a decent bed, bathroom, air con and a nice big tv. The only real negative was the limited car spaces. You need to arrive back early or else you need to find parking on the street somewhere. We had a very enjoyable stay here in Los Angeles. Prime area near hollywood and beverly hills. Plenty of nice resteraunt. Rooms were big. It had fridge and microwave. Bathroom was outdated but it was clean. It felt safe parking was limited. Stayed 3 nights..Had a king bed - nice and spacious room with fridge and microwave. Parking were jst abt 6-7spots. SupermRket jst accross with vegan&vegetarian food options available. Near farmers market (lots of food options even for vegetarians and ross store too for shopping. Since LA is huge and vast, I had rented a car so was accessible to all places - its a must to have a car. Arpan at the receiption was very helpful to guide us for shopping. Just 1 thing about the room - carpets needs to be changed its over used and its time to change it. Rest everything was fine and good. Travellers with kids especially with lots of lugg - king bed room is good. 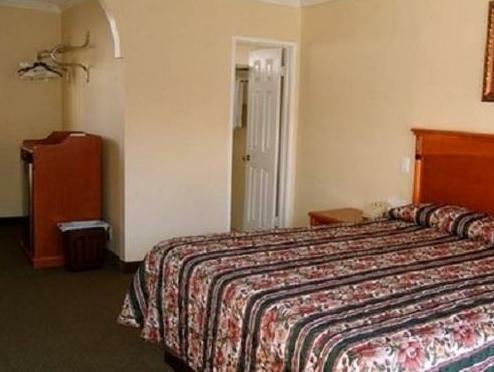 Motel is close to farmer's market, good restaurants, shopping like Macy's and Marshall's. There's free parking and the staf at the lobby is really kind and helpful. Close to all the surrounding tourist locations. Parking was limited, so make sure you get back in time to get a space before going out for the rest of the evening. We would come back late afternoon and then to The Grove for dinner. There is an Italian restaurant right across the street which I heard was pretty good, but didn't have a chance to try. the hotel's location is far. 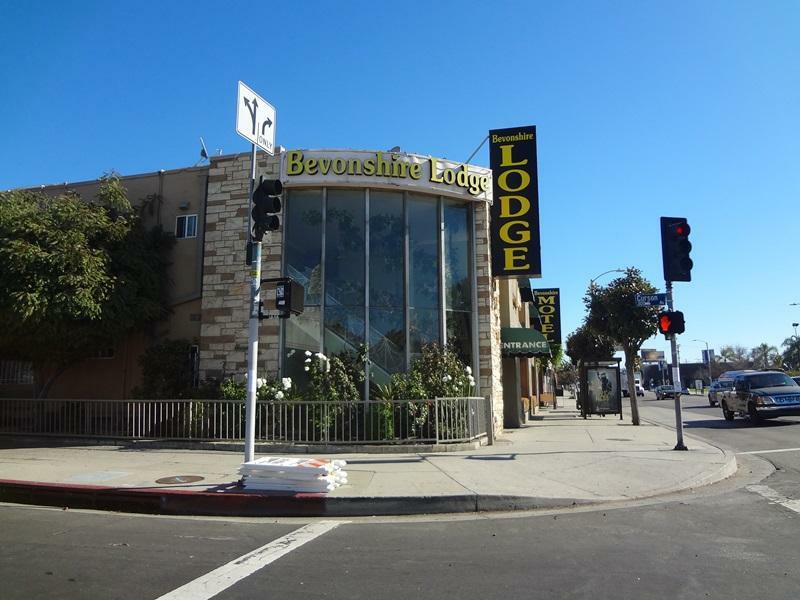 you must have your own car to stay here, otherwise, find another hotel in the city area or around hollywood/sunset blvd. room condition is adequate with a spring bed and a working toilet. the only interesting place within walking distance is the farmer's market and has good selection of food served outdoor style. no reason for us to come back here again. Safe location on walking distance to the Farmer market. Nice neighborhood. Good for shopping, eating, travelling. Bus stop in front of the hotel. Nice management. I have a wonderful stay there, can't get any better than this for my budget range. The area is nice and safe, the manager, Mr.John, was extremely kind and helpful. Thank you, John, you made our trip a memorable one. Looking forward to staying there again. Its Cheap, Clean and comes with free WIFI. I enjoyed my stay there very much. It is not the most beautiful room but it serves it purpose while being cheap and located in a good location a short walk from the Grove and a short drive to most of the Hollywood attractions. Free parking and Wifi helps you save even more money. I would highly recommend it for someone on a budget. The Bevonshire is in a good neighborhood. That's the best thing about it. The whole place, however, needs a paint job and the rooms are dated and could use a deep cleaning. My non-smoking room smelled like stale cigarettes. The room had a fridge and microwave but no clock radio or coffee maker. There's enough free parking for about 1/3 of the rooms but, luckily, free street parking is a block north. The staff is friendly enough but they would be wise to charge $5 more per room and use that money to update this place. It would be money well spent. Didn’t have any WiFi for nearly a day! Its downtown location, helpful manager and nice & safe room. I had a pleasant two-night stay there. Felt safe. My downstairs room was 90 percent clean, and the indian manager was friendly and helpful. Although offering no free breakfast, i will stay there if in LA. The location, the parking, and the soap. The guy at the desk was horrible. He didn't speak clearly or in anything resembling English, he was angry about something both times I needed to speak with him. I wish there had been someone approachable working there, it would have saved us a lot of trouble. The rooms have not been deeply cleaned in years. The walls have drips and stains, the bathroom is wiped and mopped, but not in any meaningful way. The room had a microwave that reminded me of the Detective's Lunch Room in the Denver Police Dept. HQ, which is the World Standard of Filth. We won't be back, ever. Not even for free.